Friday, November 20, 6-8 p.m. Courtesy of Redwood Art Association. 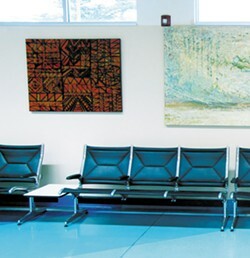 Augustus Clark's painting hangs among various artists' work at the airport. 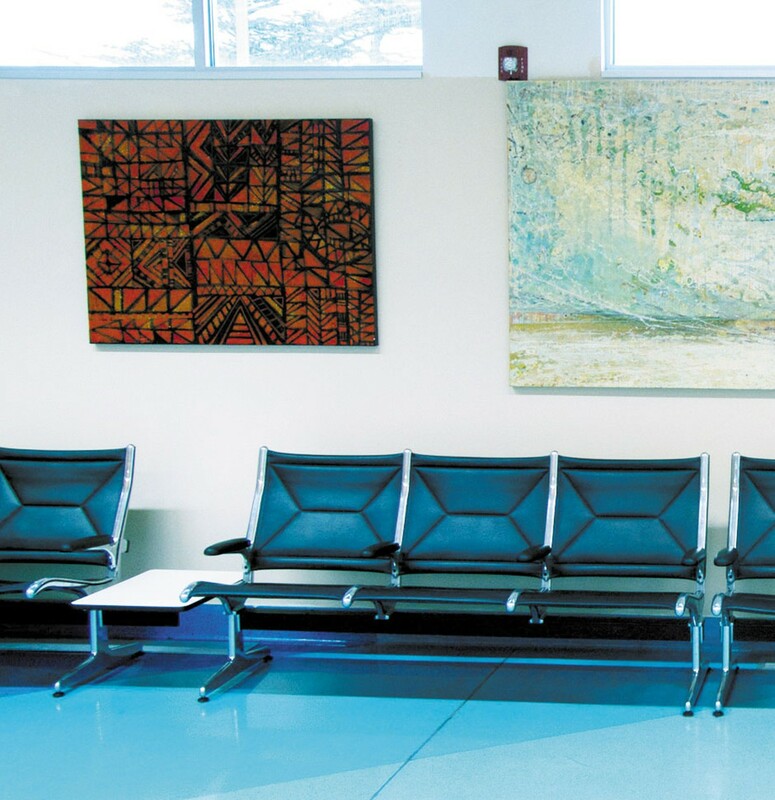 Presented by members of the McKinleyville business community, McKinleyville Arts Night is open for all McKinleyville businesses to display the work of local artists. Receptions for artists, exhibits and/or performances are from 6-8 p.m. on the third Friday of each month. Call 834-6460 or visit www.mckinleyvilleartsnight.com for more information. 3561 Boeing Ave. View artwork by Humboldt County artists at the long-term exhibit coordinated by the Redwood Art Association. The exhibit features work by Augustus Clark, Curtis Otto, Hanna Pierce, Howard Emerson, Rob Hampson and Micki Flatmo. McKinleyville Shopping Center. Earl Stevens, woodwork, showing a collection of "Intarsia" work. Music by JD Jeffries. 1450 Hiller Road. Special Event: Bring your family out to a night of art and fun with special activities from 6-7 p.m. Come prepared for a fun night for children of all ages. BLAKE'S BOOKS 2005 Central Ave.
Tina Gleave, silk scarves, shawls and silk paintings. Music by Harry Smith. CHURCH OF THE JOYFUL HEALER 1944 Central Ave. Phylis Geller, photography. Special Event: Annual Fair Trade Sale with beautiful handicrafts from around the world.